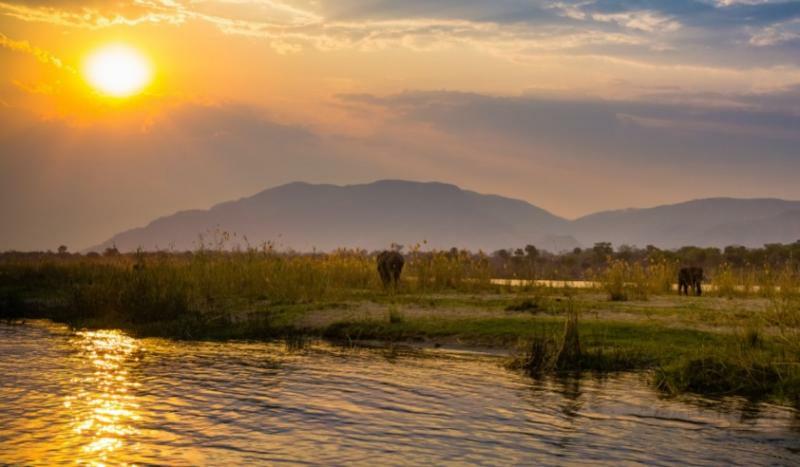 The Lower Zambezi has become the world’s first carbon neutral national park following on-going sustainability efforts in conjunction with BioCarbon and the Lower Zambezi REDD+ Project. BioCarbon’s project REDD+ (Reducing Emissions from Deforestation and Forest Degradation) is aimed towards helping farming communities in Zambia improve their livelihoods, protect disappearing forests and create a sanctuary for globally threatened wildlife. The Lower Zambezi Community Forestry Project currently protects 100,000 acres of Miombo forest. Every camp within the national park is part of the project – including lodges on the outskirts. Two of the park’s camps, Chiawa & Old Mondoro Bush Camp bought carbon credits from the Lower Zambezi REDD+ project, using internationally accepted values for fossil fuel use, to offset the carbon emissions both properties produce. By offsetting 1,200 tonnes of carbon emissions, these two camps alone are protecting an estimated 403 hectares of Zambian forest (approximately 3,228 trees), and removing enough CO2 from the atmosphere to be equivalent to taking 2154 cars off the road for a year.